Born in Albert County, New Brunswick, William Andrew Cecil Bennett (1900–1979) was a merchant and politician known as “Cece” to his friends and “Wacky” to his enemies. Bennett moved from New Brunswick to Kelowna, British Columbia and successfully established a chain of five hardware stores in the Okanagan Valley. He entered politics as a Conservative member of the B.C. 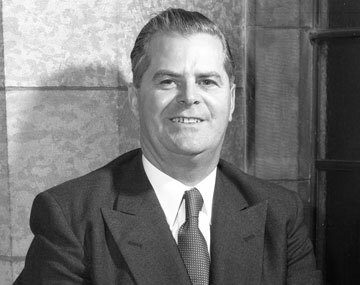 legislature in 1941, but became premier as leader of B.C.’s Social Credit Party between 1952 and 1972. Bennett’s election to premier was fuelled partly by public anger over problems with the British Columbia Hospital Insurance Service plan, such as inaccurate enrolment records and over-collection of premiums. His government quickly corrected these difficulties by improving recording-keeping, abolishing liability for uncollected premium arrears and refinancing the system through a social services retail tax instead of relying on premiums to meet the costs of the program. 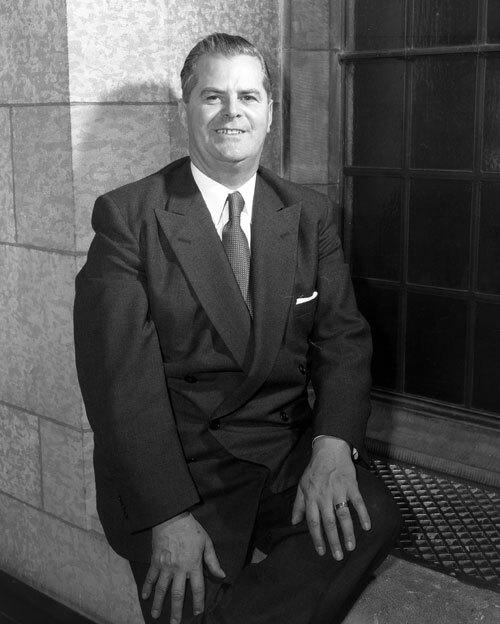 Bennett supported the creation of a national health insurance system, stating at the 1955 federal–provincial conference that, “the proposals of Canada for health insurance embodying medical, hospital, dental and pharmaceutical services [are] a major and integral part of an effective social security program for the people of Canada, and insofar as possible, the proposals of Canada of August, 1945 [Green Book proposals] should again be considered”(Malcolm G. Taylor, Health Insurance and Canadian Public Policy: The Seven Decisions That Created the Canadian Health Insurance System and Their Outcomes, 2nd ed. [Montréal and Kingston: McGill–Queen’s University Press, 1987], p. 209). Although the 1955 federal–provincial conference concluded without implementing all of the 1945 proposals, Bennett’s government continued to develop hospital and medical services plans for British Columbians. W. A. C. Bennett, premier of British Columbia. The photograph is dated Ottawa, April 1955. It was probably taken when Bennett attended the federal-provincial meeting held to discuss the hospitalization insurance plan. © Library and Archives Canada, PA-115138. Photographer: Duncan Cameron.